Now there's the cat way of dealing with difficulties. Take a nap and all will be better. If you like the design, you will find it in Cafepress and Zazzle. I had a linguistics professor who said that it's man's ability to use language that makes him the dominant species on the planet. That may be. But I think there's another thing that separates us from animals. We aren't afraid of vacuum cleaners. I identify most strongly with the turtle: I patiently plod along till I reach my destination--and occasionally I stick out my neck. I know no greater proof for the existence of a benevolent God, no greater Heaven than holding a purring cat. Those who hunger for love need look no further. God has put opportunities to love and care all around us. I think I could turn and live with animals, they are so placid and self-contained, I stand and look at them long and long." We've all seen the all-innocent cat sitting in the midst of havoc, not having the slightest idea what could have happened. Maybe it was the dog who did it? 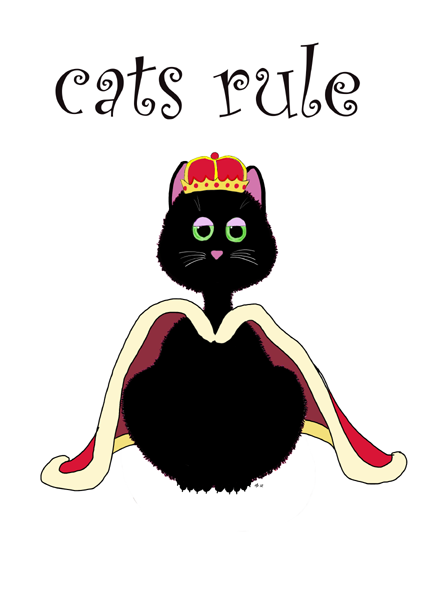 If you like the design you will find it in Cafepress and Zazzle. If a dog jumps in your lap, it is because he is fond of you; but if a cat does the same thing, it is because you lap is warmer. If you like the design, you will find it in Zazzle and Cafepress. If you think that something small cannot make a difference - try going to sleep with a mosquito in the room. Kindness and compassion toward all living things is the mark of a civilized society. Most cats, when they are Out want to be In, and visa versa, and often simultaneously. My favorite animal is the mule. He has more horse sense than a horse. He knows when to stop eating -- and he knows when to stop working. My little dog -- a heartbeat at my feet..
Non-violence begins with the fork. No heaven will not ever Heaven be; Unless my cats are there to welcome me. 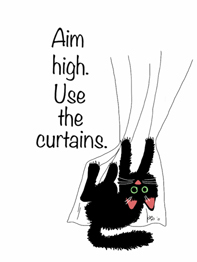 Want to get higher in life? 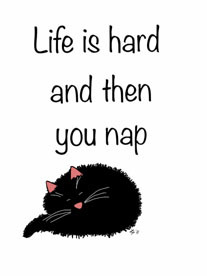 If you like this cat wisdom, you will find it in Zazzle and Cafepress. Of all the things I miss from veterinary practice, puppy breath is one of the most fond memories! One cannot watch chimpanzee infants for long without realizing that they have the same emotional need for affection and reassurance as human children. The basis of all animal rights should be the Golden Rule: we should treat them as we would wish them to treat us, were any other species in our dominant position. The Cat. He walked by himself, and all places were alike to him. The quizzical expression of the monkey at the zoo comes from his wondering whether he is his brother's keeper, or his keeper's brother. The worst sin towards our fellow creatures is not to hate them, but to be indifferent to them. That's the essence of inhumanity. 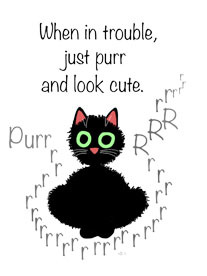 To err is human, to purr, feline. A fact of life cats know and people should know. Find this design in Cafepress and Zazzle. The zoo is a place for animals to study the behaviour of human beings. 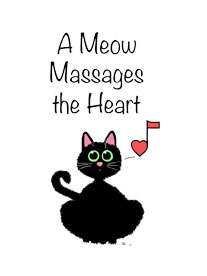 This house is owned & operated solely for the comfort & convenience of the CATS! Thousands of years ago, cats were worshipped as gods. Cats have never forgotten it. What is a man without the beasts? If all the beasts were gone, men would die form great loneliness of spirit, for whatever happens to the beasts also happens to man. Whatever you do unto the least of my brothers, you do it unto me. You can say any foolish thing to a dog, and the dog will give you a look that says, 'My God, you're right! I never would've thought of that! When I lost my way, I was accustomed to throw the reins on his neck, and he always discovered places where I, with all my observation and boasted superior knowledge, could not. Back to first page of Quotes About Animals. Looking for animal coloring pages? Click here!